“Bilawal said that the government had admitted to its failures [on the economic policy front] by changing the finance minister,” Umar recalled while addressing the National Assembly. “Bilawal: there were four finance ministers in the PPP’s government [from 2008-2013],” the erstwhile finance minister reminded the PPP chairman. “He [Bilawal] said that day that Pakistan’s ‘economic murder’ had taken place,” Umar said, referring to the PPP leader’s earlier statement. “Maybe no one ever placed this data in front of Bilawal, but at the end of their [the PPP’s] five years, the GDP growth rate was 2.8pc. There has never been a government in Pakistan with a lower GDP growth rate,” Umar claimed. BEIJING: Naval Chief Admiral Zafar Mahmood Abbasi on Wednesday said Pakistan gives value to the traditional Pakistan-China friendship. Naval Chief Zafar Mahmood Abbasi thanked Chinese Minister of Defence for China’s participation in the recently held multi-nation naval exercise Aman-2019 in Pakistan. Earlier this month, Chinese ambassador to Pakistan Mr Yao Jing had called on Naval Chief Admiral Zafar Mehmood Abbasi in Islamabad. According to the Naval spokesperson, both the dignitaries had discussed defence and maritime cooperation between Pakistan and China and matters pertaining to the maritime security of China Pakistan Economic Corridor. The Naval chief had apprised the Chinese envoy about the role of Pakistan Navy in enduring peace and stability in the region. KARACHI: Younus Habib, former president of Mehran Bank, passed away on Wednesday in Karachi after suffering a brief period of illness. He said that Habib was under medical treatment at the Agha Khan Hospital since past 10 days. Habib was the prime character of the 1990 Mehran Bank Scandal alias Mehrangate. Asghar Khan accused Habib of providing funds in the capacity of the chief executive officer (CEO) of Mehran Bank. His funeral prayers will be offered today in Defence Housing Society after Isha prayers. ISLAMABAD: Panama Joint Investigation Team (JIT) head Wajid Zia on Wednesday concluded presentation of his arguments in assets beyond known sources of income reference against PML-N leader Ishaq Dar. As per details, Accountability Judge Mohammad Bashir resumed hearing on the assets case against the former finance minister. We have submitted records from FBR, FIA, NAB and other pertaining institutions”, Wajid Zia said. Saeed Ahmed handed cheque book to Mohammad Naeem on Ishaq Dar’s instructions whereas, Saeed himself has denied of any transaction taking place in these accounts”, Wajid Zia maintained. The court, after Panama JIT head concluded his arguments, adjourned hearing till May 08. SEHWAN:Hundreds of thousands of devotees from all around the country have gathered today to attend the three-day urs celebrations of venerated Sufi saint, Lal Shahbaz Qalandar, at his shrine in Sehwan Sharif. The visitors have come prepared to stay in the city throughout the urs, with a few staying in houses rented from locals while others carry tents with them for their sojourn. At least 5,000 police personnel and 1,000 Rangers officials have also been deployed to maintain law and order. The loving music and poetry of Sufis propelled Islam throughout South Asia hundreds of years ago, and Lal Shahbaz is one of the most venerated of all. Muslims are not the only ones coming to see Lal Shahbaz’s tomb; Hindus also embark on this Sufi yatra, and the shrine is open to anyone of any faith. ISLAMABAD: The Prime Minister’s Office (PMO) on Wednesday said that Prime Minister Imran Khan’s remarks in Tehran that terrorists had in the past misused Pakistani territory to undertake attacks against Iran had been taken “largely out of context”. In a statement, the PM Office noted that there had been a lot of debate about the premier’s statement on the use of Pakistani soil. The PM Office added that attacks are carried out in Pakistan using the territory of Iran and Afghanistan “in the same manner”. You cannot play with the destiny of this country anymore.”Defending the prime minister, Human Rights Minister Shireen Mazari said the opposition had quoted only one part of the statement. She said that after acknowledging that Pakistan’s soil had been used for terrorist activities in Iran in the past, the prime minister had clearly stated that terrorists had recently come from Iran to carry out attacks in Balochistan. ISLAMABAD: The recent reshuffle in Prime Minister Imran Khan’s federal cabinet triggered a war of words among ministers, and the latest such exchange was reported to have taken place between PM’s Special Assistant Firdous Ashiq Awan and Aviation Minister Ghulam Sarwar Khan. Taking aim at Ghulam Sarwar, who was removed from his post as the federal minister for petroleum and assigned the aviation ministry instead, Firdous criticised his role in the petroleum ministry. “The petroleum ministry was looted, that’s why the minister was changed,” she was quoted as saying on Tuesday. Minister of Petroleum Ghulam Sarwar was assigned the Ministry of Civil Aviation. Federal Minister for Information and Broadcasting Fawad Chaudhry was assigned the Science and Technology ministry, whereas Dr Firdous Ashiq Awan was named Special Assistant to the Prime Minister on Information and Broadcasting. As the anti-polio campai­gn enters the third day across the countr­y, it fails to contin­ue in 24 UCs of the provin­cePESHAWAR: At least nine more people, responsible for vandalising government properties during riots in the city over fake news that hindered anti-polio campaign in Khyber-Pakhtunkhwa (K-P), were arrested in the provincial capital on Wednesday. As the anti-polio campaign entered the third day across the country, it failed to continue in 24 Union Councils (UCs). ‘Political figures’ blamed for spreading rumours to target K-P polio driveA special team, led by SP Saddar division Sahabzada Sajjad, was formed to arrest the culprits. Panic spread across K-P on April 22 after reports emerged that several schoolchildren were rushed to nearby health facilities after consuming anti-polio vaccine. Health unit set on fire in protest sparked by polio vaccine in Peshawar“The parents are fully co-operating in other areas. KABUL: Afghan civilians are for the first time being killed in greater numbers by the US and pro-government forces than by the Taliban and other insurgent groups, a UN report released Wednesday revealed. Most of the deaths resulted from air strikes or from search operations on the ground, primarily conducted by US-backed Afghan forces, some of which UNAMA said: “appear to act with impunity”. “UNAMA urges both the Afghan national security forces and international military forces to conduct investigations into allegations of civilian casualties, to publish the results of their findings, and to provide compensation to victims as appropriate,” the report states. It is the first tally since records began that shows pro-government forces have killed more civilians than insurgents have. Last year was the deadliest yet for Afghan civilians, with 3,804 killed, according to UNAMA. 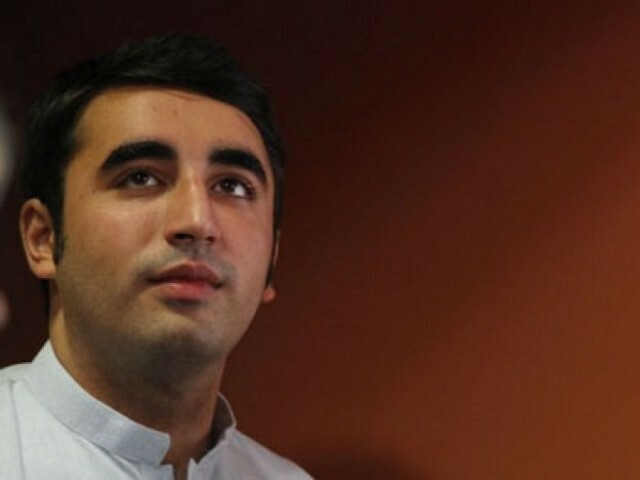 Claims govern­ment caving to intern­ationa­l pressu­re instea­d of puttin­g Pakist­an firstPakistan Peoples Party Chairman Bilawal Bhutto Zardari on Wednesday criticised Prime Minister Imran Khan for not making any announcement to continue the Pak-Iran gas pipeline initiated under former President Asif Ali Zardari. 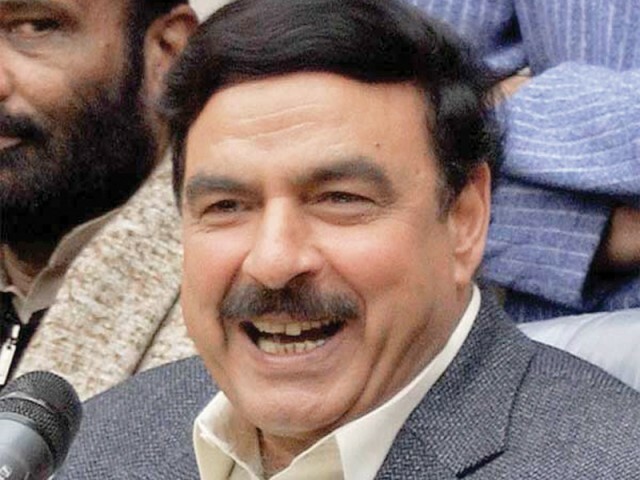 The PPP chairman, in a tweet, said that despite Imran’s visit to Iran no announcement was made by PM Imran to continue President Zardari’s Iran-Pakistan gas pipeline. “Given our energy needs, ever-increasing price of gas and unequal load-shedding sad that govt also caving to international pressure instead of putting Pakistan first,” the PPP chairman elaborated. The Pakistani side extended its appreciation to the government of Iran for continuing electricity exports to Pakistan’s Balochistan province. In their joint press conference, Rouhani said that Iran was ready to meet Pakistan’s oil and gas requirements and added that Iran has already taken measures to construct a pipeline near the Pakistani border. Death toll in Sri Lanka bombings rises to 359Here is what we know so far about some of those killed in the blasts. Danish billionaire loses three children in Sri Lanka blastsDanish billionaire Anders Holch Povlsen lost three of his four children in the Easter day attacks. Povlsen, his wife Anne and their four children were in Sri Lanka on vacation at the moment of the attacks. The family had returned to Sri Lanka several years ago from Australia to take care of Manik’s mother. 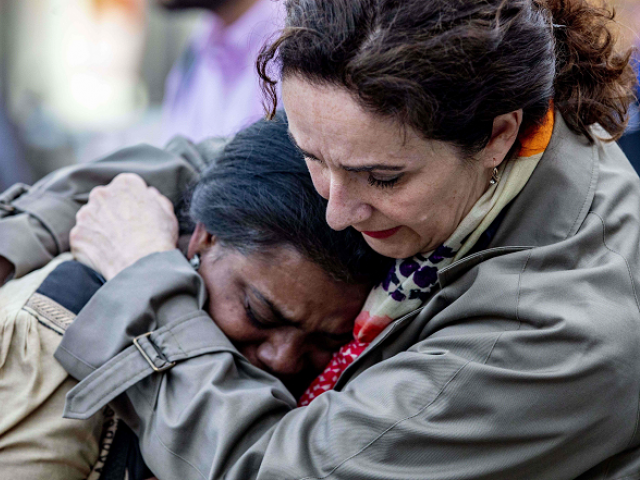 Several Americans killed in Sri Lanka attacks: PompeoHis wife returned to Portugal on Monday, Cofina reported. Court has adjour­ned the hearin­g till May 8ISLAMABAD: Joint Investigation Team (JIT) head Wajid Zia on Wednesday testified in a reference against former finance minister Ishaq Dar, saying his assets increased 91-folds from 1992 to 2008 and no explanation had been given by the former minister regarding the increase. Zia was testifying in an accountability court in the case of assets beyond income against Dar. In his testimony, Zia said accounts were opened in Bank of America, Al Barka, Al Tawfeeq Investment and Emirates Bank on Dar’s orders. 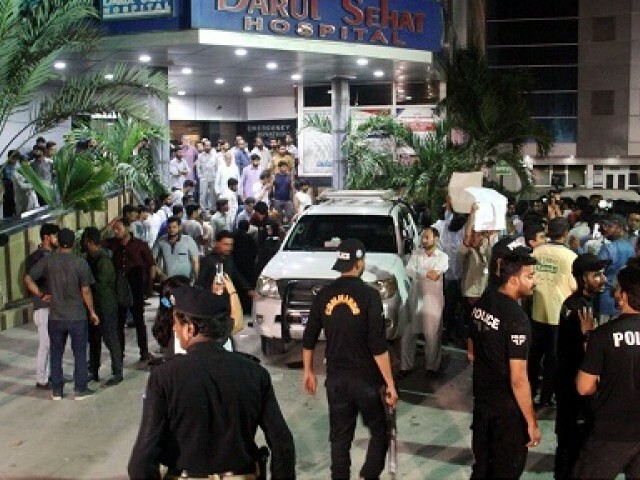 Two witnesses record statements in reference against Ishaq DarThe JIT had also recorded statements of former National Bank president Saeed Ahmed and has collected records from the National Accountability Bureau (NAB), Federal Investigation Agency (FIA) and other agencies. Court has adjourned the hearing till May 8. 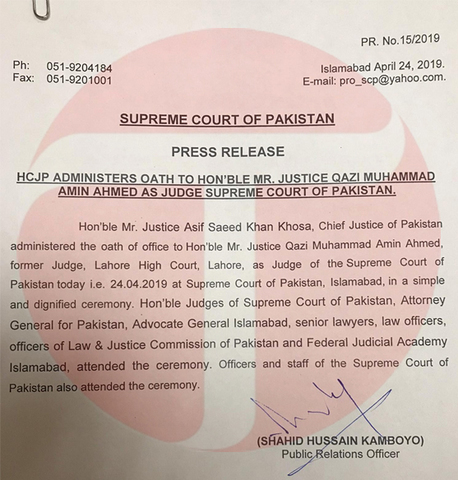 Justic­e Muhamm­ad Amin Ahmad served as a judge of the Lahore High Court from Novemb­er 2014 to March 2019ISLAMABAD : Justice Qazi Muhammad Amin Ahmed took oath as a judge of the Supreme Court on Wednesday, Radio Pakistan reported. The ceremony was attended by judges and lawyers of the Supreme Court. Justice Muhammad Amin Ahmed had served as a judge of the Lahore High Court from November 2014 to March 2019. On Tuesday, Islamabad High Court (IHC) Chief Justice Athar Minallah proposed a new nominee for appointment to the federal capital’s high court. IHC chief justice proposes new name for post of judgeAfter Muhammad Evaz Zehri withdrew citing personal reasons, Justice Minallah has recommended another Baloch lawyer, Azam Kamrani, for appointment as an IHC judge. 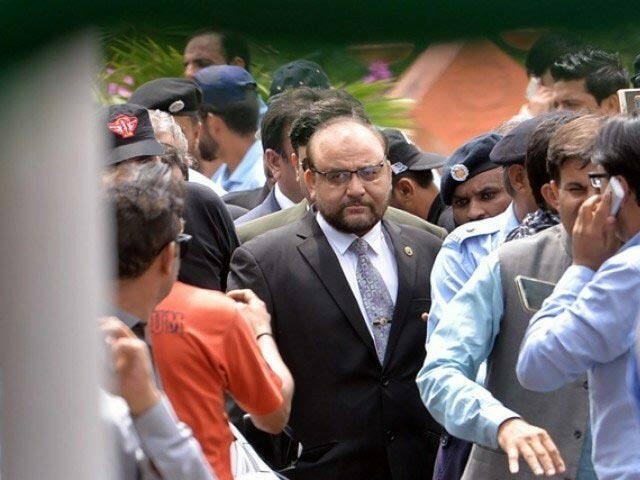 KARACHI: The Sindh High Court (SHC) on Wednesday ordered the National Accountability Bureau (NAB) to wrap up the investigation against Sindh Assembly Speaker Agha Siraj Durrani in four weeks. During the hearing of the case, SHC Judge Justice Ahmed Ali Sheikh asked the NAB investigating officer how far along the investigation was. To this, the NAB investigating officer told the court that Durrani’s remand had been completed along with the preliminary investigation. The PPP leader was then presented before an accountability court and his three-day transit remand was secured. The accountability bureau had sought seven-day transit remand of Durrani, but the accountability court granted three-day transit remand and directed NAB to produce him before the relevant court in Karachi within three days. It allege­dly contai­ns precis­e consum­er locati­on inform­ation from hundre­ds of millio­ns of device­sWASHINGTON: Top US lawmakers on Tuesday wrote to Google’s chief executive raising concerns about reports of a massive database known as Sensorvault that allegedly contains precise consumer location information from hundreds of millions of devices. The letter, which was signed by Democratic Representatives Frank Pallone and Jan Schakowsky and Republicans Greg Walden and Cathy McMorris Rodgers, asked Google who has access to the Sensorvault database and which Google services or apps collect the information. 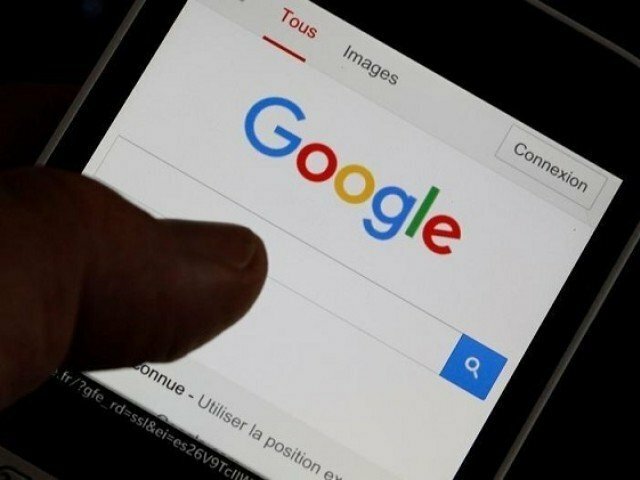 They also asked Google if the information is collected from consumers who requested that their data not be shared and asked to be briefed on any third parties, other than law enforcement, given access to location data. Google, Facebook, Twitter, and other free online services rely on advertising for revenue and use data collected on users to more effectively target those ads. Google shuts down Google+ after mass data leakCongress has long been expected to take up privacy legislation after California passed a strict privacy law that goes into effect next year.